August 29, 2013, Rochester, NY –Semrock adds an additional nine new wavelengths to its industry-leading high performance RazorEdge “E” grade product line. 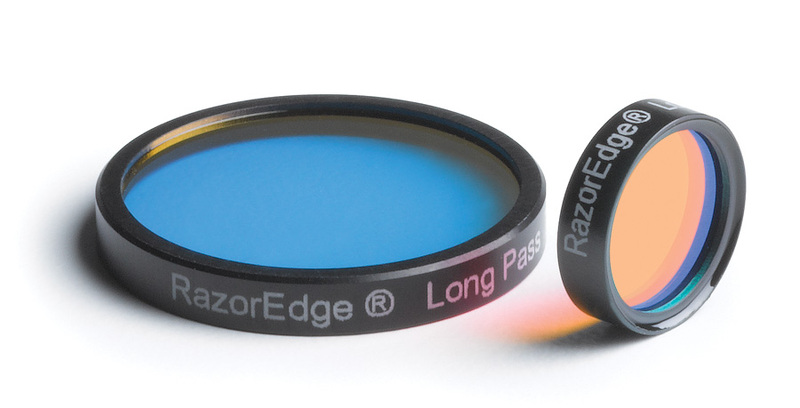 These patented ultra-steep long-wave-pass edge filters are designed to provide deep blocking at the laser wavelength then quickly transition to high transmission in less than 0.5% of the laser wavelength. These nine new wavelengths expand upon the six filters currently available, offering customers a total of 15 wavelengths to select from. These filters are in-stock for immediate shipment, available for custom sizing in less than 2-days, and carry a 30-day no-hassle return policy. All Semrock filters are covered under the company’s five-year warranty.